The holidays have always been a nostalgic time for many. Memories of childhood, family, and togetherness are practically written into most Western holiday traditions, and that can often create a sense of sadness and longing – a feeling that naturally makes one want to get away from the humdrum realities of the world and escape to somewhere, anywhere different. Maybe this feeling is rooted in the tales we tell and songs we sing this time of year, stories that always seem to take place elsewhere, to destinations eternally blanketed in snow and good cheer. Is it any wonder we long to go there, wherever that is? It’s in that “elsewhere” that The Borrowers begins. A sullen young lad is lost in thought, face pressed against the glass of the shop window, admiring an elaborate Christmas display. 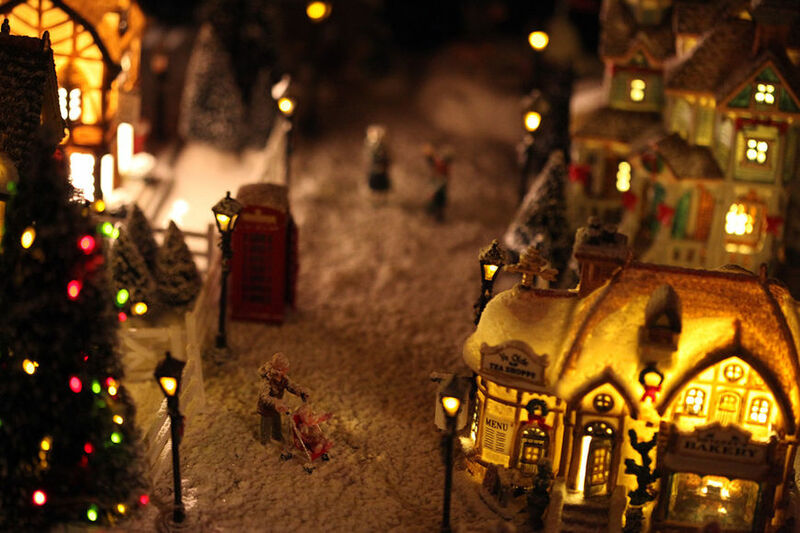 Enthralled by this beautiful miniature world full of toys and model planes, tiny trinkets, and wintry vignettes, the boy soon snaps back to reality and trundles off with a sigh, returning to his seemingly ordinary life in the city. 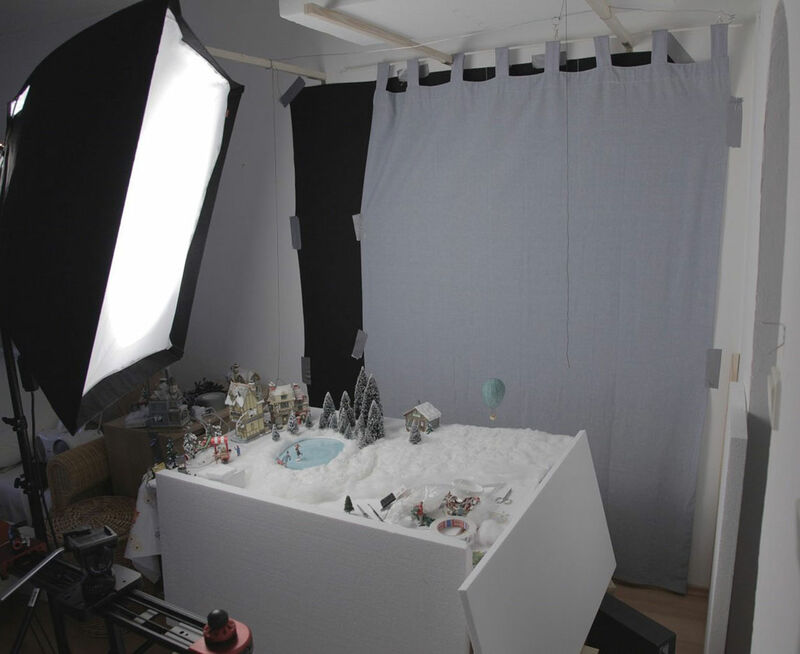 The models and dioramas, meticulously designed and assembled by Clemens Wirth, wonderfully hint at the small-scale adventure to come, while a downtempo rendition of "Have Yourself a Merry Little Christmas" by Icelandic singer Hafdís Huld lends the film’s opening sequence a sense of melancholy. It’s Christmastime though, which means there’s magic in the air – or in this case under the floorboards. 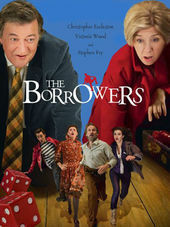 Based on Mary Norton's 1952 children's book of the same name, this 2011 version of The Borrowers filmed for the BBC is actually the sixth screen adaptation of the source material. Better known perhaps are the 1997 feature film starring John Goodman and Studio Ghibli's acclaimed 2010 animated film The Secret World of Arrietty. The versions are many, but the story is always the same. The Borrowers is the tale of two very different families: the “borrowers”, a family of teeny-weeny people who secretly live inside the walls of a London home, and the “beans” – human beings – a family of regular-sized folks who own the house, the youngest of whom is James (Charlie Hiscock), the boy at the shop window. It seems his fascination with the itty-bitty world of that Christmas diorama will soon come in handy. 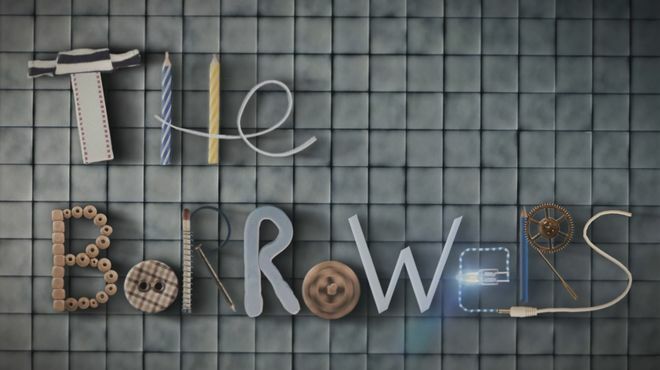 The Borrowers is a particularly whimsical and innocent piece of escapism, and a welcome reminder, especially around the holidays, that good things often come in small packages. A discussion with title designer and macro photographer CLEMENS WIRTH. Hi Clemens! We last spoke with you in 2011 about the Herbst title sequence. Is it true that you actually got the job on The Borrowers because of that Art of the Title feature? [laughs] We’re certainly glad to hear we played a small role! So tell us little bit about yourself and how you first got interested in this macro photography style. I studied Multimedia Arts – it’s like art and design and a little bit of filmmaking. It was here in Austria, a Bachelor that took about three years. This was during time when Digital Single Lens Reflex cameras (DSLRs) were coming out and becoming a big thing. It was the first time where you had a very cheap digital camera that could give you this kind of film look. I was always very interested in macro photography and building these little sets. I don’t do much with real people [laughs] I’m always searching for opportunities to make these projects happen with little models and dioramas or in an analogue style. That’s basically how I came to this particular style. 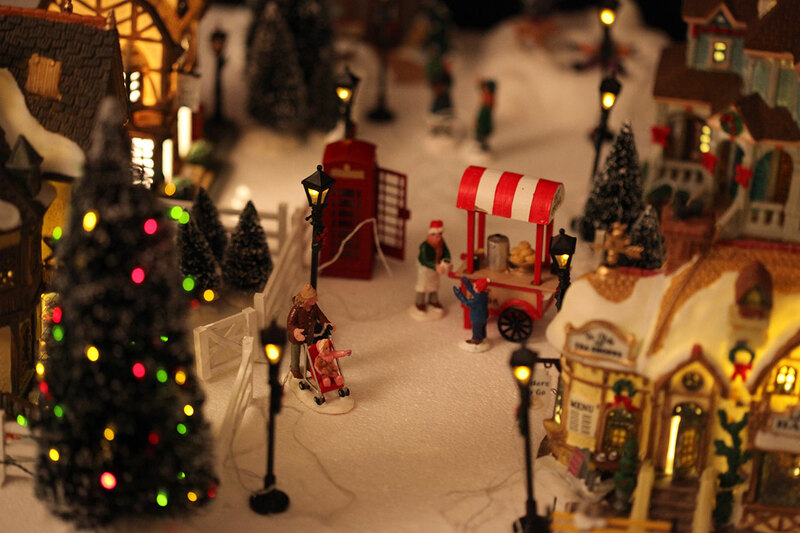 The Borrowers opens with the young boy looking through the window at a Christmas display, and intricate holiday-themed diorama. Do you remember a point in your own youth where your fascination with this sort of small scale stuff began? My brother and I used to build model planes. We’d go to the hills and let them fly. So we always did a little bit of that sort of thing in our childhood, you know? We played with electric cars and planes and miniature scale stuff like that. Lego and all that! So Tom Harper, the film’s director, saw your Herbst titles and got in touch. What were some of your first discussions with him about The Borrowers? So I looked at the first edit of the movie, I got some ideas together about how we could make it happen, and then we talked about what we wanted to do. Then I went back to Innsbruck where I live, wrote up the concept, and just started on it. What were some of the original ideas they were thinking of or that came out of those first conversations? The idea was that we see some little scenes and toys in a shopping window. This was the main theme. Then I thought about what we could show, threw some ideas together, experimented a little bit, and bought a lot of toys! It was really strange because it was in August. It was really hot here too, so it was hard to get into the Christmas mood. It was also a little difficult because in August not many people are thinking about Christmas so there’s not too much stuff around or available. So it wasn’t that easy, but thanks to the internet you can find everything nowadays! What’s your typical process on a project like this? I was a little bit surprised that we didn’t have to do a storyboard or create some kind of guide because nowadays it’s common for every project I work on to have storyboards. The budget was not huge so we just went right into it. I just bought a lot of models, built it on a table, took some photos, and then sent them over to London for approval. We have to change this, we have to change that, you know? It wasn’t a big budget – it was really, really low budget so they gave me the freedom. They trusted in me and it turned out really well. It was really interesting to get a look behind the production of a feature film for the first time. 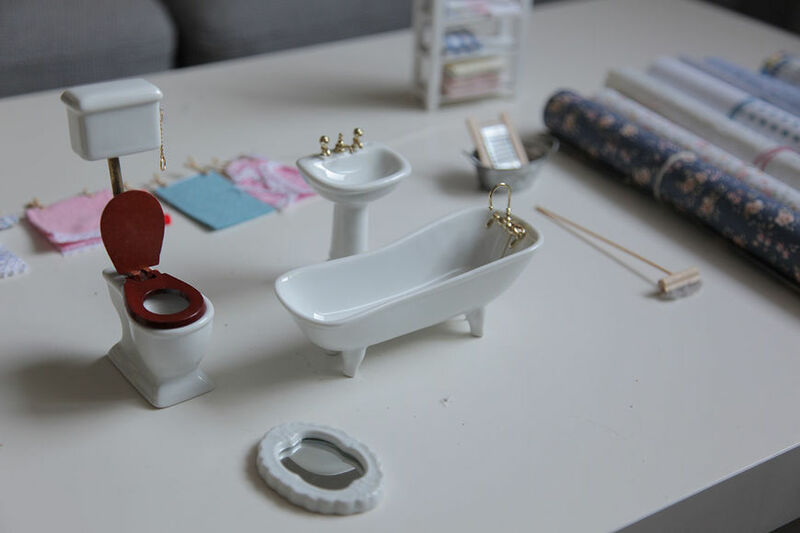 Tell us about creating these small models and dioramas. Are you using a mix of handmade material and off-the-shelf models, like HO scale train models? Yeah, it’s a mix of HO style, H and O, but also the 1218 propriety scale. I did not build everything from scratch, so there are some models that you can buy at the toy store, but I combined everything together. And how did you animate the scenes? Is it stop-motion or some other technique? Do you then touch things up and add to what you’ve shot digitally? Yeah, a little bit, like the snowflakes. The snow in the sequence is all made in After Effects, the breath on the glass, and of course the font or the typography, but the rest is mainly made analogue. And it was just you working on the sequence? Yeah, I always do it alone. I did the camera, getting all the props together, building the sets, and all that. The director and producer were in touch with me most of the time. I made this whole title sequence in my little apartment where I was living with my girlfriend. We didn’t have that much space. [laughs] So I built each scene, filmed it, sent it over to London, they approved it or not, and then I built the next scene. It was two days shooting all of the scenes – a bit of a different workflow than I’m used to. So you’ve been working in this style for some time now. What are some of the challenges you typically encounter when working at this scale? Have you learned any hard lessons? There are a few things. It can often be a little bit difficult to composite everything together because you have such a shallow depth of field. You don’t always have a point where you can track something to it! So that can be tricky sometimes. 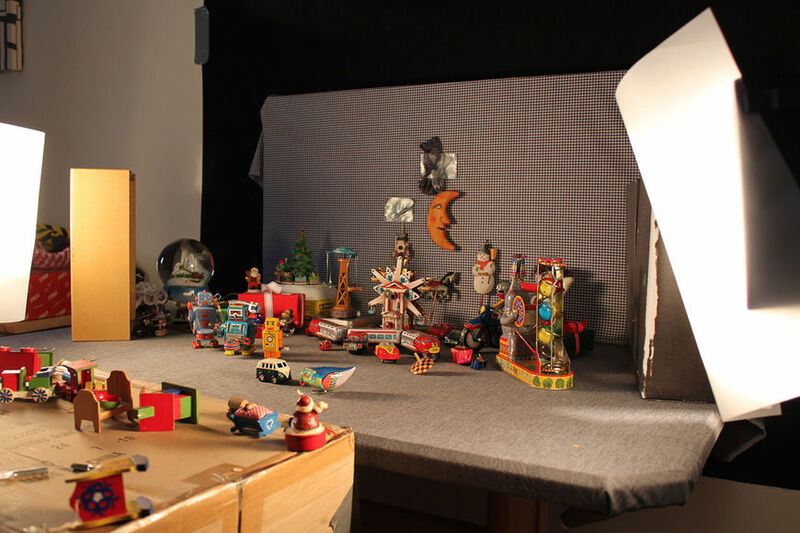 You can also see every piece of dust or stray hair that gets on the models or dioramas, so you have to use a big screen when you’re capturing the images so that you’ll catch it. There’s always some kind of dust or spot that you don’t like! So you mentioned using DSLRs and After Effects on this project. What other pieces of equipment and software would you use on a project like this? Basically it’s not that fancy stuff! I’m still working with a DSLR and shooting in RAW format. With the Canon 5D Mark III you can get really nice big RAW pictures. Then of course a motorized slider from Edelkrone. In terms of software, I just use the Adobe palette – Premiere for the cut, After Effects for the VFX, and a little bit of Illustrator and Photoshop. Do you have a particular moment or element of the sequence that’s a favourite? Hmmm… I don’t know! I like the winter theme, the hot air balloon, and the skating. Maybe also the bathroom. I like the robots, the little metal ones. 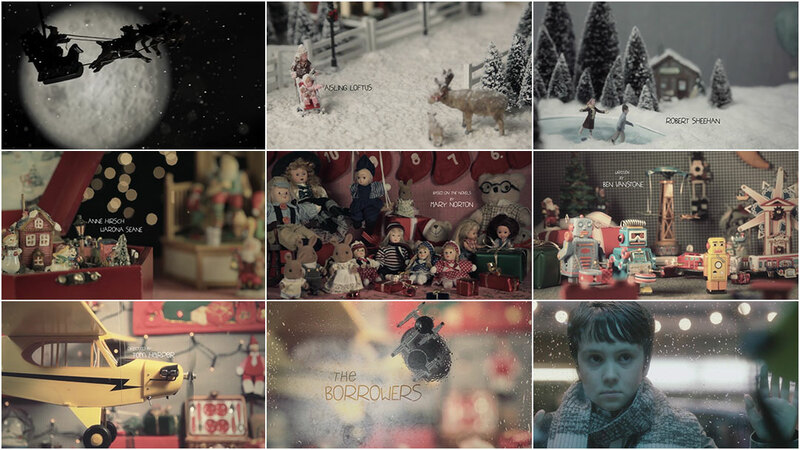 It’s a little sweet title sequence – not too fancy but kind of sweet. 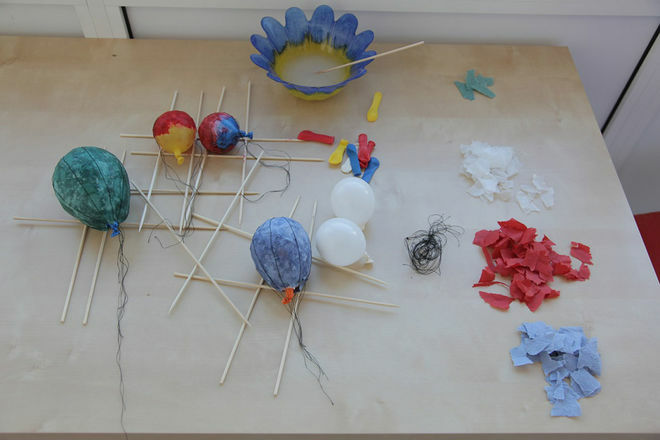 Did you keep any of the props from this project? Yes, I have the balloon. It’s hanging in the apartment with some other small props, like the robots. Looking back at this project almost seven years later, is there anything else you’d like to say about it? Well, I hope there’s another project like this coming again soon! There isn’t a huge title sequence scene in Austria and it’s difficult to get a job in this field. I love to do it though because it’s just such a great artform. And I have to thank you again because of you I was invited to the South by Southwest Festival. The Herbst title sequence was nominated there and it was great! I was there again two years because I was nominated for another title sequence which I made for a crime series in the UK – Measuring Evil. It was cool to get to see the industry all together there. It was really nice! I’m sure you’ll be really annoyed by my answer because you probably always hear it, but Se7en is for me still one of the gamechangers. 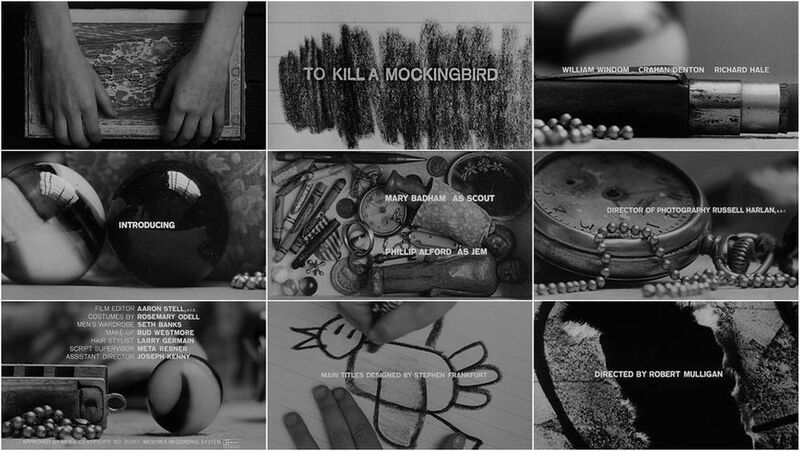 I also like To Kill a Mockingbird – I like it because it tells a little story in closeups. I like this one very much. 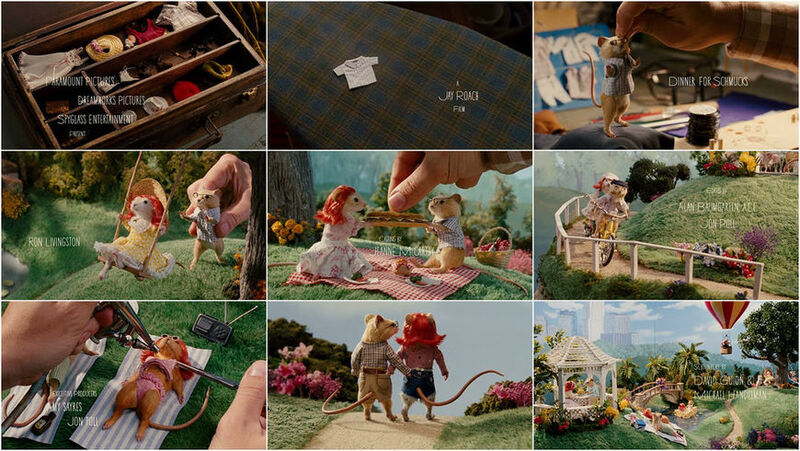 And I like Dinner for Schmucks because it’s a bit similar to my stuff. There was a recent one from Pause Festival with the cat – the one from Zaoeyo. I love that one!